NutriDay is giving away 4 tickets to The GRAND WHITE SA event taking place in JHB PLUS a smartsnack hamper, with a total value of R4,000 each! Create and prepare a NutriDay Double Cream Yoghurt-inspired picnic dish & post a picture of it on our Facebook page post. 1.1. The Afternoon Express Nutriday Grand White Competition (Competition) will be run by Cardova Trading (Pty) Ltd in association with Danone Southern Africa (Pty) Ltd. (Organisers/we/us/our). Entries for the Competition will open at 17h00 on Friday, 17 March 2017 and will close at 18h00 on Friday, 24 March 2017 (Competition Period). 4.1. Create and prepare a NutriDay Double Cream Yoghurt-inspired picnic dish (Picnic Dish) and reply to Nutriday Competition post that is posted on the Afternoon Express Facebook page (www.facebook.com/afternoonexpress/) during the Competition Period by posting a picture of your Picnic Dish and tell us how you incorporated NutriDay Double Cream yoghurt into the recipe. 5.1. We will randomly draw 4 (four) winners (Winners) by means of an automated system via Facebook within 72 (seventy-two) hours from the closing date of the Competition. 5.2. We will notify the Winner(s) by commenting on the Winner’s entry post within 24 (twenty-four) hours from determination of the Winner to request a copy of the Winner’s identification document in order to validate his/her entry and to request further contact details. 6.1. 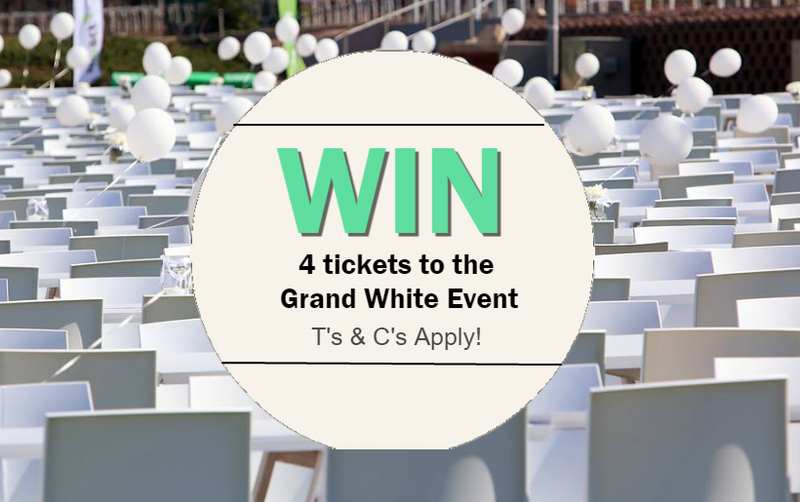 Each Winner will receive 4 (four) tickets to the Grand White Event in Johannesburg, to the approximate value of R 2 000.00 (Two Thousand Rand) (Tickets) and a NutriDay Smart Snack hamper to the approximate value of R 2 000.00 (Two Thousand Rand) (Hamper). The total prize (Prize) is therefore valued at approximately R 4 000.00 (Four Thousand Rand). 6.2. The Prize excludes all items not mentioned in clause 6.1 and may differ from images or items used in marketing material for the Competition. Winners are responsible for own travel arrangements to attend the Grand White Event in Johannesburg. 7.3. We reserve the right to amend these terms and conditions during the Competition Period should it be deemed necessary in our sole and unfettered discretion.